I guess Kate was too busy to find out their first names? If you have been a reader of my blog for awhile then you know that the doctor named Clay in the book is actually S.R. Clay who was born a slave and was a graduate of Meharry Medical College in Nashville. I did a quick search and discovered the following about our Black doctors. Dickey is the last name of John A. Dickey who is 1930 was married to Alhome (sp?) Dickey and who had a daughter named Gussie Dickey. They made their home on Church Street. I hope to do more research to find out who the additional doctors were. He was born in Montgomery, TN about 1840. He was about 20 years of age when he enlisted at Ft. Pickering, TN in September 1864 for three years. He was discharged in June 1865 due to disability which was listed as rupture of the groin. He served in Company D of the 3rd US Colored Heavy Artillery. He joined the army as a recruit. I also discovered that he went to military court and was charged with what appears to say “torn clothes off of guard” to which he plead guilty. His sentence was that he had to forfeit $1.00 of his monthly pay. After he was discharged he returned to Lauderdale County. According to the 1870 US Census he was a farm laborer with a personal estate worth 300 dollars. Wallace died November 8, 1930 and was buried at Canaan Cemetery in Henning, TN. I was hoping that Wallace’s records would contain the name of his previous slave owner, but it did not. 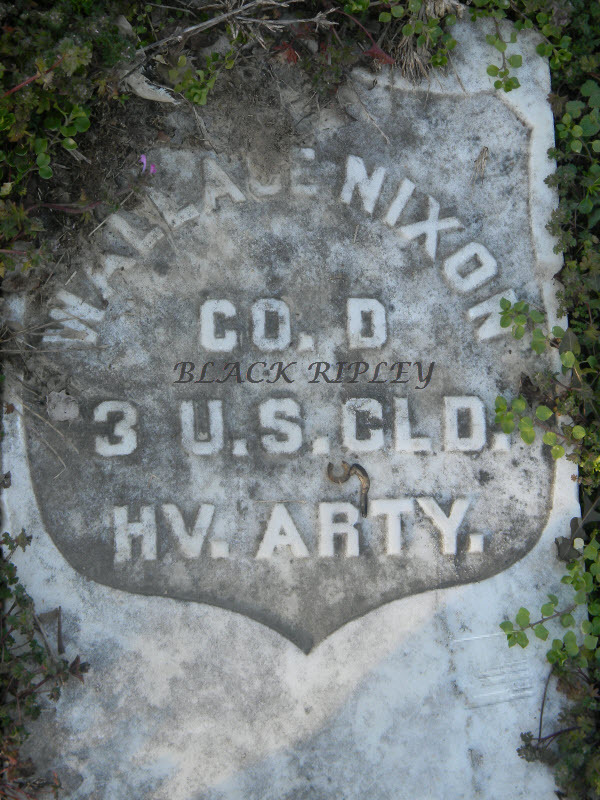 I did however, discover that there was a RWW Nixon who lived in Montgomery, TN who was a slave owner. There was also a John Nixon is Lauderdale County who owned slaves. Maybe there is a connection that can be made between the two owners that will give us more information about Wallace’s life.